This is the concluding part of the two-part article dealing with various frameworks of HR functions and how efficacious they are. Read about some of them below. What kinds of frameworks exist to study the HR functions and their efficacy? Have the experts categorized the various aspects of HR functions and the ways in which they operate? This is the concluding part of the two-part article dealing with various frameworks of HR functions and how efficacious they are.The first part of the article talked about the IMD and Cisco Model and the INSEAD Model. The Deloitte digital workplace framework is a tool for organizations to understand their current digital workplace and identify areas of opportunity to support a better way of doing business by helping to think holistically. The 1st layer is of the inner core. It consists of 3 aspects of Connect, Collaborate and Communicate. It clearly states that digital workplace is all about employee’s ability to do these 3 tasks productively and enable knowledge sharing across organizational boundaries. The 2nd layer is of technology which is really where all the technology tools that enable the digital workplace come together. This layer suggests you look at your existing tool box and then evaluate other tools that help meet the core objectives defined above. The 3rd layer is of governance, risk and compliance. The model suggests that effective use of technology is underpinned by appropriate controls. Information flow must comply with organizational policies and industry regulations. It suggests to put effective and efficient governance structures and management processes for the same. The 4th and the outermost layer is of measurable business value. It suggests that any digital initiative must be driven by business needs and should deliver the necessary benefits. We particularly like this model as it starts with employee at the centre of the entire digital transformation effort and it’s an essential aspect for HR digitization. HR’s effort to digitize its function have traditionally focused on making the HR professional more effective and efficient, while the changed environment now demands HR to start with the employee in mind and this framework offers a good starting point in that direction. The model also supports the method of dialogue and building consensus as the conversation about each layer is likely to involve multiple stakeholders. Its concentric nature indicates that it’s a never ending journey where you keep going back to the starting point to reassess and re-evaluate as the pace of technology evolution accelerates. If there is just one article that you had to read about digital transformation then we strongly recommend making it this one. 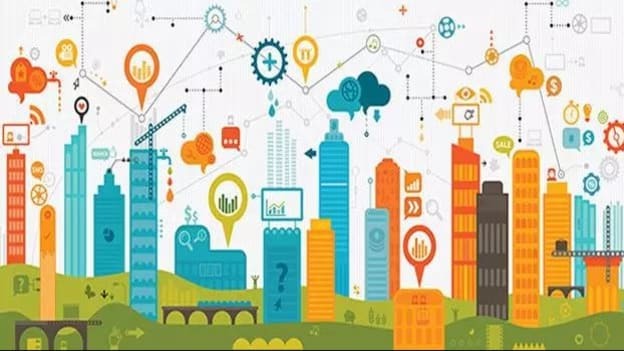 This research undertaken by MIT Sloan and Capgemini in 2012-13, sought to identify what they call as digital masters and connected their “digital maturity” to business outcomes. 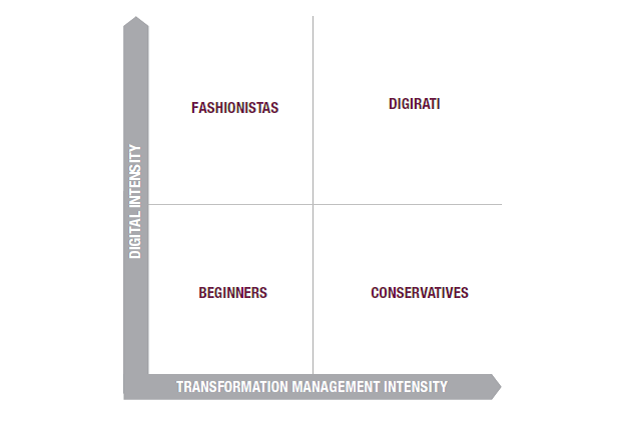 While the article may not offer a particular model per se for digital transformation it does provide you with a classical 2 x 2 metric to identify if you are a Digirati, Fashionistas, Beginners or Conservatives. The metric is built on digital intensity defined as investment in technology enabled initiatives to change how the company operates. Secondly the transformation management intensity defined as creating the leadership capabilities necessary to drive digital transformation. By using this as your starting point you can then make the case for digital transformation in HR or in business citing multiple company case studies and examples given in the report. While most models tend to focus on the benefits of digital transformation, because this is a survey based report, it also offers you very relevant potential problems that you are likely to face. The list in the article is very indicative of typical challenges and if you are prepared with your game plan on each of those challenges you would have a success story of your own. The report also provides some practical and simple guidelines on what to do when you are doing digital transformation on your own and recommends specific steps that you can take. So while this is more like an article we believed that the various aspects the report talks about namely assessing your digital maturity, defining benefits of digital transformation and identifying problems in transformation serve as a good guidance to any leader embarking on this journey. Backed by survey data and company case studies this report provides you with necessary ammunition to build your digital transformation case. Most of these models offer guidance to HR and business leaders who are undertaking the digital transformation agenda. As you can see most models are context heavy and depending on your specific context the resultant action and results would vary. For the first part of this article, click here. NEXT STORY: Is India Inc's growth inclusive?